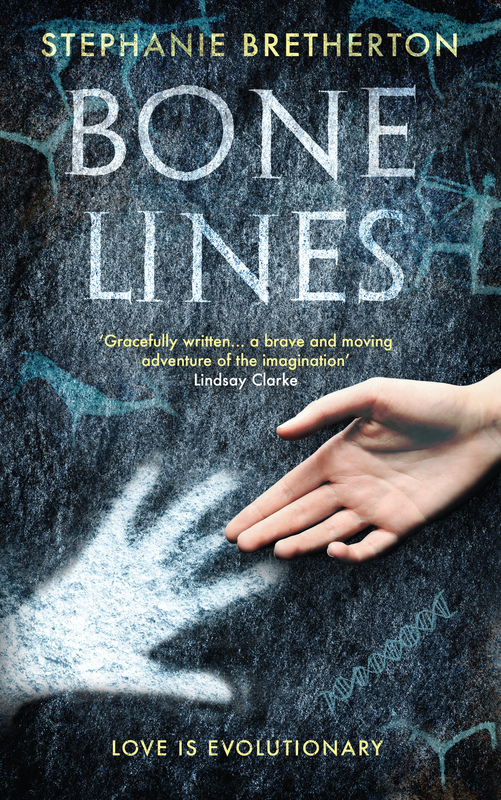 Bone Lines is the genre-fluid fiction debut by Stephanie Bretherton, out from Unbound in September – a *fascinating* and *highly enjoyable* book with a pair of *courageous women at its heart* in a *compelling* 80,000 word dual narrative. Bone Lines Cover Blurb: A young woman walks alone through a barren landscape in a time before history, a time of cataclysmic natural change. She is cold, hungry and with child but not without hope or resources. A skilful hunter, she draws on her intuitive understanding of how to stay alive… and knows that she must survive. Although partly set during a crucial era of human history 74,000 years ago, Bones Lines is very much a book for our times. Dealing with themes from genetics, climate change and migration to loneliness, the yearning for meaning and the clash between faith and reason, it also paints an intimate portrait of who we are as a species. The book tackles some of the big questions but requires no special knowledge of any of the subjects to enjoy. This press release was distributed by ResponseSource Press Release Wire on behalf of Quickstep PR in the following categories: Entertainment & Arts, Women's Interest & Beauty, Environment & Nature, for more information visit https://pressreleasewire.responsesource.com/about.